After an accident, whether a fender bender or a more serious crash, your car needs to be inspected by a mechanic. Just like your car needs special attention, your body should be checked out by a specialist in the human body. Dr. Taylor’s experience makes him the go-to practitioner for people in the Atlanta area who have been the victim of an accident, from car crashes to personal injury cases. 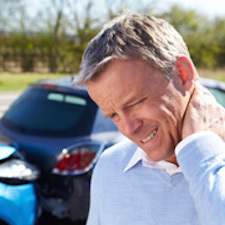 We’ll start with a comprehensive examination to determine the nature of your injuries. Then, we’ll treat your problems to relieve your pain and restore your health. Dr. Taylor will discuss his recommendations to optimize healing and may recommend additional solutions to your chiropractic care such as cold laser or electric muscle stimulation. If you prefer, we can use instrument-based adjustments rather than manual methods. We’re ready to be your personal concierge after an accident. You’ve got enough on your mind without having to deal with the complications of attorneys and insurance companies. Our helpful, friendly team will do all they can to make things easier on you, from recommending an attorney to helping you feel well enough to get back to the activities you love. Use your insurance coverage for your visits. Saturday appointments are available. Don’t wait. Reach out to us today for care if you’ve had a car accident in Atlanta.